Being involved in the criminal justice system in any way is never an ideal situation. However, Driving Under the Influence (DUI) is one of the most common criminal charges that people face. Therefore, if you do find yourself involved in the criminal justice system as a result of being charged with DUI, it is important to be aware of the consequences of your actions and your inactions during your interaction with the police. 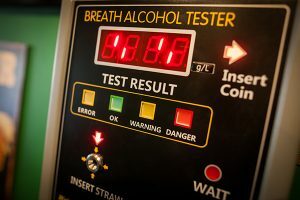 After you have been advised that you are under arrest for DUI, it is likely that the officer will ask you to submit to a chemical test of your blood, breath, or urine to determine your blood alcohol content (BAC). It is at this point that you will be presented with a DL-26 Form from which the officer will read the consequences of refusing to submit to the chemical test. One of the consequences of refusing to submit to chemical testing is a penalty that is independent of the criminal case: a license suspension of at least one year. Pennsylvania has an Implied Consent law which states that if you are lawfully arrested by an officer who has probable cause to believe that you are DUI, then you consent to taking a chemical test of your blood, breath, or urine. Therefore, your refusal to submit to such a test constitutes a violation of the Implied Consent law. This violation is punishable by an automatic license suspension of at least one year. It is important to realize that although you may never be convicted of the DUI you will still be subject to the one year license suspension from the Pennsylvania Department of Transportation (PennDOT). Nevertheless, be aware that you do have the right to refuse chemical testing as a result of a DUI. You must carefully decide, however, whether refusing the chemical testing is in your best interest in light of all potential penalties. If you have questions about your DUI case, or any other criminal case, our criminal law attorneys in Delaware County can help. Call us today at 610-891-6710.